Discover the addition of 16 new luxury single-level Tropical Garden Guestrooms at our Marathon, FL resort. These intimate guestrooms offer visitors a secluded oasis among a lush tropical landscape. 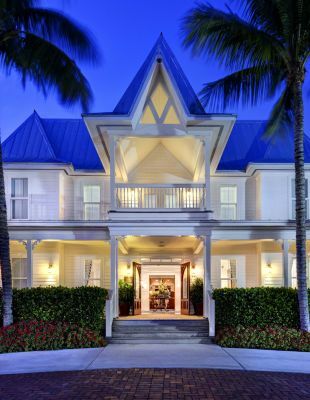 Each single-level guestroom is designed in luxurious conch style architecture, keeping with the decor and design of Tranquility Bay's signature graceful touches and understated luxury. 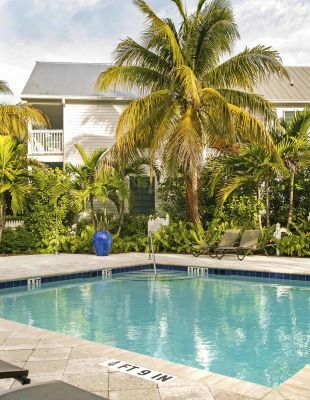 These intimate single-level guestrooms are relaxing, inviting and provide the ultimate privacy- perfect for couples in search of quiet Florida Keys beachfront hotels. This room is the most spacious of all Tropical Garden Guestrooms and each unit includes its own private patio or porch. Enter an oasis with two queen size beds and en-suite bathroom with shower and tub in comfortable tropical surroundings. The guestroom provides easy access to onsite dining, our 2.5 acre private beach and all remaining amenities at Tranquility Bay Resort.